In case you have been wondering where My Color-Coded Life has been – I’ll be back soon. We are at the home stretch (sort-of!) of cleaning out my parents’ home. So I find myself again with no internet or TV (and limited phone!) 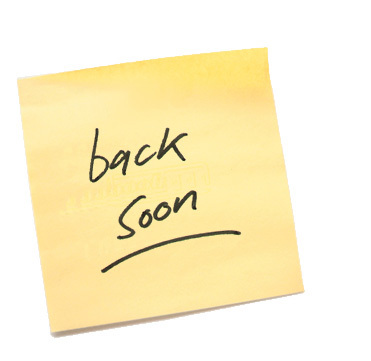 Give me a few days to catch up on cooking, cleaning, DVR watching and blog and magazine reading – and I’ll be back!